Opportunities at Aedas and White Arkitekter feature in our selection of the week's best architecture and design job opportunities on Dezeen Jobs. 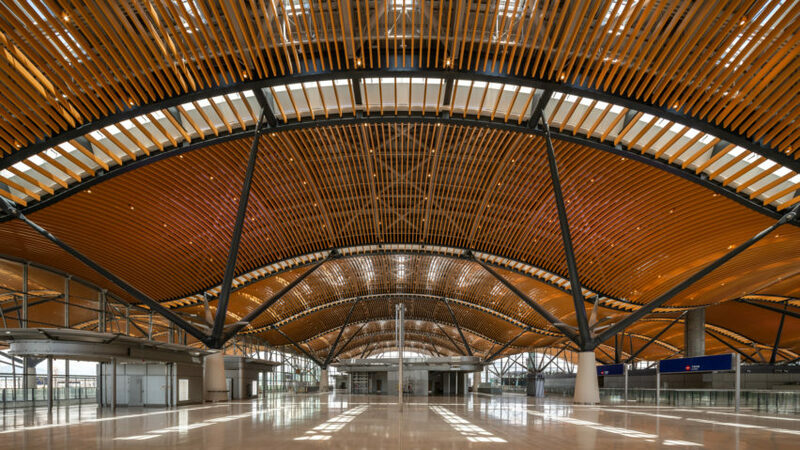 Aedas and Rogers Stirk Harbour + Partners recently teamed up to design Hong Kong's Passenger Clearance Building, which features an undulating roof made from aluminium. The global architecture firm is hiring a project architect to join its team in various locations across China, including Shanghai, Shenzhen, Beijing or Chengdu. White Arkitekter is looking for a senior architect to join its growing design team in London. The Scandinavian studio's projects include a timber-clad bathhouse in the coastal town of Karlshamn, informed by Sweden's traditional "gingerbread" architecture. Conran and Partners recently designed the 276 guest rooms in Amsterdam hotel QO, with details including filtered drinking water taps, to eliminate the need for single-use glasses and bottles. The practice is recruiting a junior architectural visualiser to join its team in London. Architecture for London is seeking architects or experienced Part 1 and 2 students to join its growing studio in Clerkenwell, London. The studio designed this light-filled extension to a Victorian terraced house, which features reflective stainless-steel surfaces and polished concrete. A twisting white staircase, a basement pool and cinema room feature in this overhauled Notting Hill house, designed by architecture studio Theis + Khan. The practice has an opportunity for an architectural assistant to join its team in Tunbridge Wells, UK.